This February and March, Spaghetti and a passionate team of local artists, will share the love of circus with the Coraki Public School. On March 27 over 100 students and staff will create a performance ‘C3Crew: A walk on the Wylde Syde’ at the school with a music, hip hop, dance and circus performance for the local community. ‘It will be a colourful and lively event hosted for parents, friends and families. We are really excited about this project finally coming to fruition’ says Jacquie Levy, C3Crew project director, National Institute of Circus Arts circus graduate and Transitions Teacher at Coraki Public School. Through generous philanthropic support, Spaghetti Circus has been able to gather a high calibre team of local circus artists who bring an abundance of wealth and knowledge to the C3Crew project, including: Spaghetti’s founder Leonie Mills; senior Spaghetti artist, Li Pawson – musician, arborist, flying trapeze artist; Spaghetti Creative Director, Simone O’Brien; Lou Harwood, aerialist, social worker and long time social circus activist and Elsie Smith, emerging Indigenous circus artist, dancer and hip hop artist. Thanks to the funding, Spaghetti has been able to offer Elsie Smith a Trainee Trainer position and mentoring for the project. Lou Harwood and Elsie have been working together for some time and Spaghetti is pleased to be able to offer support to dedicated artists such Lou and Elsie. Corkai Public School has a ratio of 50:50 Indigenous to non-Indigenous students and while the C3Crew project is aimed at Indigenous students, it is open to all students so that everyone can benefit. The C3Crew aims to foster respectful and supportive relationships between Indigenous and non-Indigenous youth. The C3Crew project is part of Spaghetti’s commitment to connect with Indigenous culture in the Northern Rivers. 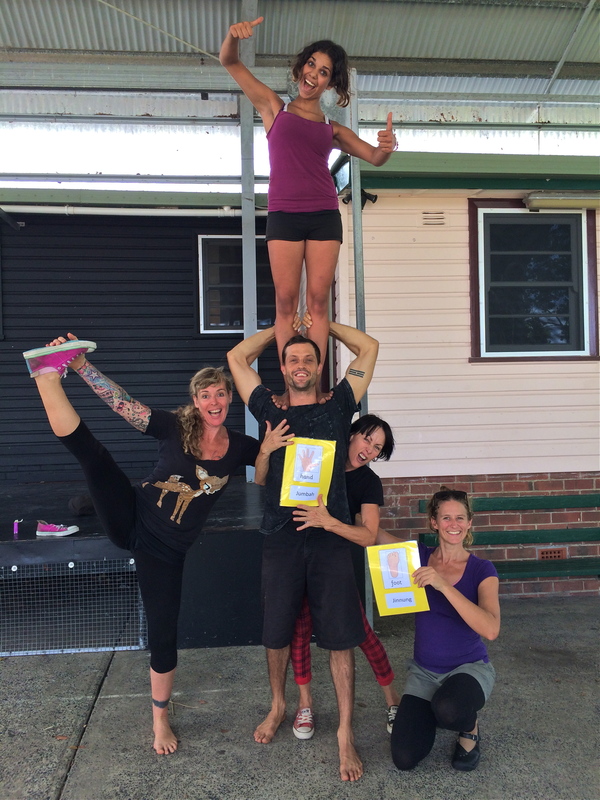 ‘Spaghetti’s aim is to increase the representation of Indigenous artists in the circus sector. We want to create opportunities to participate in our annual performance programs and also link to broader national initiatives such as Circus Oz’s Blakflip program’ says Spaghetti Creative Director, Simone O’Brien. ‘We believe in supporting sustainable and ongoing networks that provide opportunities for regional Indigenous and non-Indigenous young people to build pathways into the performing arts. Circus can provide exciting employment options and opportunities for mentoring and leadership. We are interested in long term solutions and are keen to explore options. Feel free to get in touch’ says Simone.